World Tools Mod is a basic mod that adds a few new items to hopefully speed up the building process when you are trying to build in creative. These items are not available in survival. 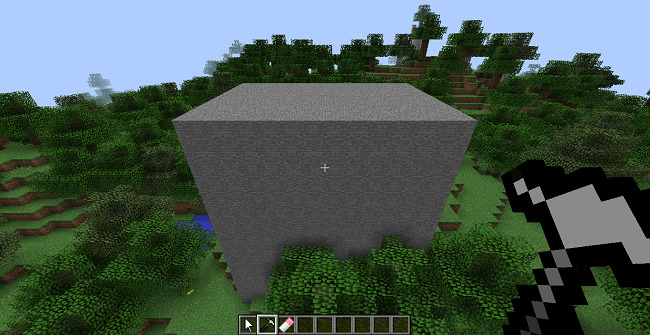 Sure, some commands were added to Minecraft that do this same thing, but they are not very practical and are a pain to use. Next, you can either use the hammer to fill the area with blocks or the eraser to clear all of the blocks in the selected area. To use the hammer, right click on the block that you want to fill the area with (WARNING: this will replace already existing blocks). In this case, I just right clicked on one of the stone blocks. The new blocks will have properties similar to the block you clicked on, i.e clicking on an upright log will spawn upright logs and clicking on a sideways log will spawn sideways logs. 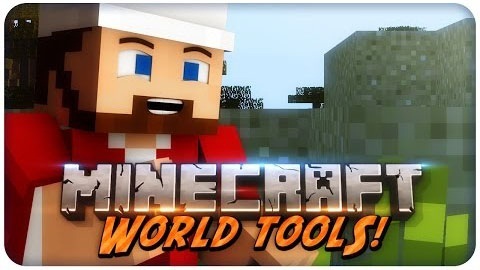 Download the World Tools Mod from link below.